Found 423 blog entries tagged as "10310". Tuesday, January 8th, 2013 at 11:11am. In the middle of the twentieth century, a school building was constructed in the neighborhood of West Brighton. On April 28, 1960, the school was named for Anning Smith Prall. Born on Staten Island, Prall served as president of the New York City Board of Education for three terms in 1919, 1920, and 1921. Anning Smith Prall also served as a member of the House of Representatives and president of the Federal Communications Commission in later years. Intermediate School 27 was named for him twenty-three years after his death. Wednesday, January 2nd, 2013 at 9:04am. On the North Shore of Staten Island, at the northeastern corner of Broadway and Forest Avenue, you can find a McDonald's fast food restaurant. Behind this fast food restaurant, to the northeast, you can find McDonald Playground, whose northern boundary is Myrtle Avenue. It may be hard to believe, but it is actually by mere coincidence that the McDonald's fast food restaurant and McDonald Playground are located right next to each other, as neither of the two facilities were named due to the location of the other one. Wednesday, June 13th, 2012 at 9:38am. Corporal Thompson Park is located on the North Shore of Staten Island, in the neighborhood of West Brighton. It is bordered by the streets of Broadway, Henderson Avenue, and Chappell Street. Corporal Thompson Park has about ten acres of land that were transformed into an outdoors sports recreation park. 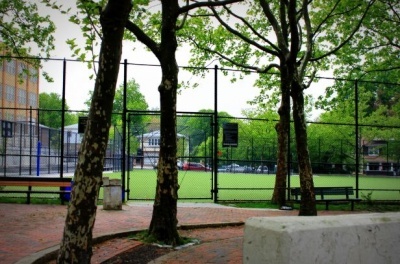 The New York City Department of Parks and Recreation acquired this land around the 1970s. 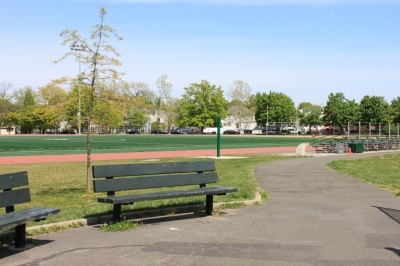 Joseph Manna Park, Staten Island is named after WWII hero. Sunday, June 10th, 2012 at 2:34pm. On the borough of Staten Island, it's not rare to see parks dedicated to American heroes. Oftentimes, these men and women were once residents of Staten Island. 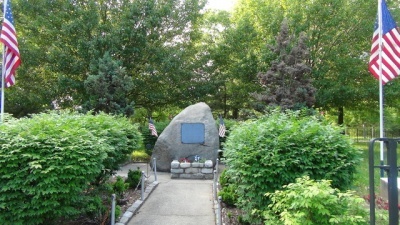 A good example would be Joseph Manna Park, which honors Seaman First Class Radioman Joseph Manna. Joseph Manna was an Italian immigrant who came to the United States and volunteered for the Second World War in 1941, at the age of seventeen. Unfortunately, the ship on which he had become a radioman sank on October 11, 1942. Monday, November 21st, 2011 at 1:20pm. On 4/27/2005, 50 West Street was publicly recorded as transferred without consideration for money. This residence is a two-family home that was built in 1899 with a living space of 1420 square feet on 7300 square feet of land. It is located in the neighborhood of West New Brighton, Staten Island, 10310 on block 208 and lot 74. Monday, November 21st, 2011 at 1:19pm. On 4/27/2005, 44 West Street was publicly recorded as transferred without consideration for money. This residence is a two-family home that was built in 1970 with a living space of 2808 square feet on 7300 square feet of land. It is located in the neighborhood of West New Brighton, Staten Island, 10310 on block 208 and lot 70. Monday, November 21st, 2011 at 1:17pm. On 4/27/2005, 38 West Street was publicly recorded as transferred without consideration for money. This residence is a two-family home that was built in 1899 with a living space of 1743 square feet on 7500 square feet of land. It is located in the neighborhood of West New Brighton, Staten Island, 10310 on block 208 and lot 66. Monday, November 21st, 2011 at 1:15pm. On 9/23/2005, 15-21 West Street was publicly recorded as sold for $565,000. This residence is a walkup apartment that was built in 1931 with a living space of 2200 square feet on 2850 square feet of land. 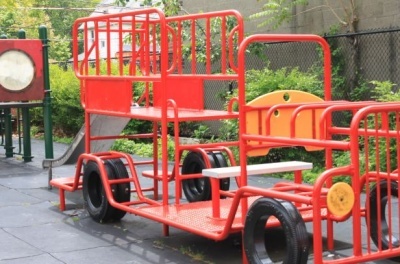 It is located in the neighborhood of West New Brighton, Staten Island, 10310 on block 207 and lot 30. Monday, November 21st, 2011 at 1:14pm. On 1/19/2005, 3 Trinity Place was publicly recorded as sold for $240,000. This residence is a three-family home that was built in 1899 with a living space of 4232 square feet on 7810 square feet of land. It is located in the neighborhood of West New Brighton, Staten Island, 10310 on block 188 and lot 78.